Had I read this collection before her others, I would have fallen in love with this crafter of images and emotions in a different way.That said, I expected this to be a new collection, and was slightly disappointed to discover it to be a reprint.The poetry is vivid, but not as smooth as her other works.It is like a collection of sharp steel: bright with edges and tips.Her other books like _Alive Together: New and Selected Poems_, and _Waving From Shore_ are like intricate Spanish or Japanese swords; beautiful and intellectually/emotionally dangerous. 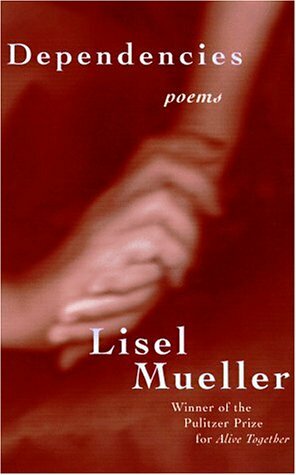 In this collection, Mueller's poems are grouped according to the new additions and works that have been previously published. Throughout the book the themes reveal her ability to see beyond the obvious and embrace realities that are overlooked. Enjoying life and all the experiences that go along with it, Mueller brings us into her world. In poems such as "Eyes and Ears" she relates the sun and moon to her friendship with an elderly man. Her poetry incorporates her sensitive eye with a biographical tone. The poem "Place and Time" is an example of this type of poem. In the poem, she discusses the attachments people create to things that can take them back to a different place and time. Mueller's point of view is tinged by her own experiences in life.Deeply personal and intimate, her poetry is written in a clear style that makes it easy to read. Yet, she has the ability to instill much emotion and meaning into her phrases. Her poems about death are particularly striking. In "After your Death" she contemplates mourning and how it keeps the dead alive. However, she does not necessarily see this as a positive thing for the dead. She writes, "You're in our power. Do we / terrify you, do you wish / for another face? Perhaps / you want to be left in the darkness." (lines 12-15). The unique way in which she views the world pervades her poetry. After reading this collection, it is obvious why it won the Pulitzer Prize. The book is a perfect addition to the library of anyone who loves poetry. The accessibility of her poetry also makes this collection a good choice for those who are new to poetry. This book of poetry won the Pulitzer Prize. She writes about a variety of topics, which makes her writing so easily accessible depending on whatever mood you're in or what you want to read. Her poetry about birds is particularly detailed and lovely. As is the poetry about her mother, about death, abuse, about relationships...I can't imagine you'd be disappointed. Support POETS, support your own imagination and dreams - buy this book -- add this to your collection or give it as a gift. 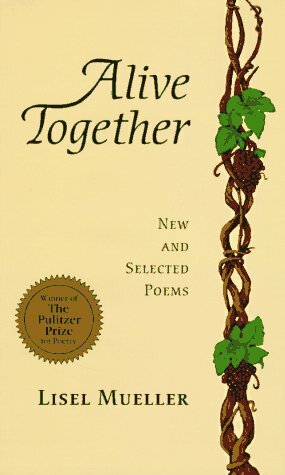 The title poem, Alive Together, is superb. Some other favorites: The Blind Leading the Blind, Why I need the Birds, When I am Asked, Things, Mirrors, Missing the Dead, and JOY. when I am asked/how I began writing poems, I talk about the indifference of nature. It was soon after my mother died, a brilliant June day, everything blooming. This poet touches me where I didn't know I lived. I am amazed by her power. In her hands, words spring to life and life springs to words. Her mind plants the living experience in a kiss on the hand and flings it to her audience like affectionate royalty waving to an attentive crowd. She was born in Hamburg, Germany and the "Curriculum Vitae" poem in this volume beautifully articulates her immigration to the United States and her life here. Mueller was recently awarded one of the largest prizes in literature, the 2002 Ruth Lilly Prize -- $100,000.00. Her poetry is worth that, and more. Her Mother's death "hurt" her into poetry, she writes here, and yet the observations she gives through these poems are pure redemption. What she experiences is what we all know, and she offers it to us with reverence and respect in sparkling language of pure gold. When she stumbles on the fact of aging: "One day," she writes, "on a crowded elevator, everyone's face was younger than mine. . . .The brilliant days and nights are breathless in their hurry." I love everything she's written and eagerly wait for more. "My word processor does not know Shakespeare. uncomprehending. They are on the list. gun and crime and prison. but when he said it, his eyes were blank." Buy this book -- and all her books if you can find them. Keep them nearby so you can reach into a poem when you need to be reminded what living is for. This work won the NATIONAL BOOK AWARD for POETRY. I have read a lot ..... did I say a lot? I meant enormous amounts of..... poetry. Classical, modern, cultural and everything in between. 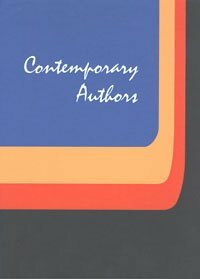 I am not fond of manycontemporary poets because of the urge in them to write as obscure aspossible. This work, however, is good. It certainly is not Lord Byron,and no one will mistake Mueller for Yeats, yet, there is not a lot ofwonderful poetry being published at present (though a lot is beingpublished).